NASA has actively joined the hunt for the missing Malaysian Airline flight MH-370 that mysteriously disappeared without a trace more than two weeks ago on March 8, 2014. Sensors aboard at least two of NASA’s unmanned Earth orbiting global observation satellites as well as others flying on the manned International Space Station (ISS) are looking for signs of the jetliner that could aid the investigators from a multitude of nations and provide some small measure of comfort to the grieving families and loved ones of the passengers aboard. “Obviously NASA isn’t a lead agency in this effort. But we’re trying to support the search, if possible,” Allard Beutel, NASA Headquarters, Office of Communications director, told Universe Today this evening. NASA’s airplane search assistance comes in two forms; mining existing space satellite observing data and retargeting space based assets for new data gathering since the incident. The Malaysian Airline Boeing 777-2H6ER jetliner went missing on March 8 while cruising en route from Kuala Lampur, Malaysia to Beijing, China. See cockpit photo below. Accurate facts on why MH-370 vanished with 239 passengers aboard have sadly been few and far between. 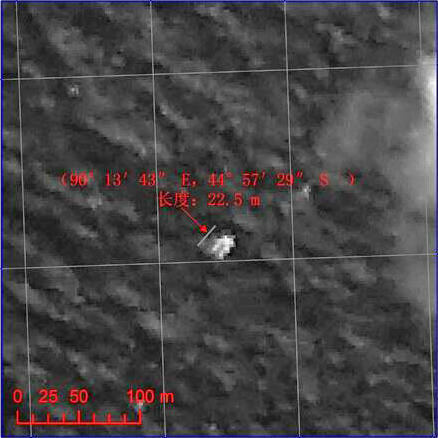 Last week, the search area shifted to a wide swath in the southern Indian Ocean when potential aircraft debris was spotted in a new series of separate satellite images from Australia and China government officials. A prior set of official Chinese government satellite images at a different location yielded absolutely nothing. The area is now focused 2,500 km (1,600 mi) south west of Perth, a city on the western coast of Australia. NASA’s search support was triggered upon activation of the International Charter on Space and Major Disasters. Available data from NASA’s Terra and Aqua satellites has already been transmitted to the U.S. Geological Survey and new data are now being collected in the search area. “In response to activation of the International Charter on Space and Major Disasters last week regarding the missing Malaysia Airlines jetliner, NASA sent relevant space-based data to the U.S. Geological Survey’s Earth Resources Observations and Science Hazard Data Distribution System that facilitates the distribution of data for Charter activations,” according to a NASA statement. And it’s important to note that NASA satellites and space-based cameras are designed for long-term scientific data gathering and Earth observation. “They’re really not meant to look for a missing aircraft,” Beutel stated. 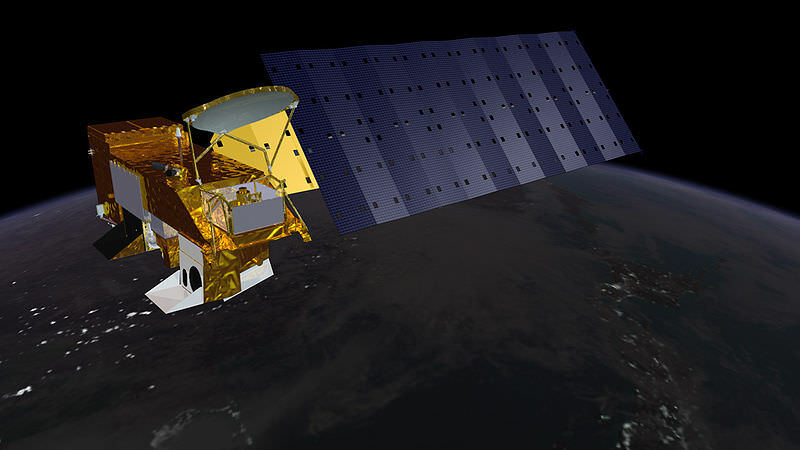 “The archive of global Earth-observing satellite data is being mined for relevant images. These include broad-area views from the MODIS [instrument] on NASA’s Terra and Aqua satellites,” Beutel informed me. The next step was to retarget both satellites and another high resolution camera aboard the ISS. 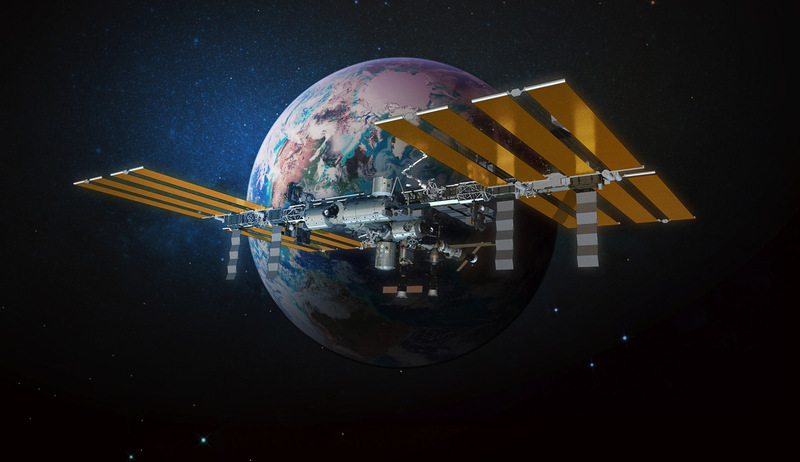 “In addition, two NASA high-resolution assets have been targeted to take images of designated search areas: the Earth Observing-1 satellite and the ISERV camera on the International Space Station,” Beutel explained. Aqua and Terra were already gathering new observations with the MODIS instrument in the search area off Australia last week. MODIS measures changes in Earth’s cloud cover. • One pixel of a MODIS image – the limit of how small a feature it can see – is about 1 kilometer. A new set of high resolution Earth imaging cameras are being sent to the ISS and are loaded aboard the SpaceX CRS-3 Dragon resupply capsule now slated for blastoff on March 30. The newly launched NASA/JAXA GPM precipitation monitoring satellite which will cover this ocean area in the future is still in the midst of science instrument checkout. Ships and planes from at least 26 countries have been being dispatched to the new based on the new satellite imagery to search for debris and the black boxes recording all the critical engineering data and cockpit voices of the pilot and copilot and aid investigators as to what happened. These are some of the strangest looking clouds I’ve seen from the fleet of Earth-observing satellites. These coil-like or bow-wave-shaped clouds were created by the clouds passing over the Prince Edward Islands, in the south Indian Ocean. It was taken by the Terra satellite with the MODIS instrument (Moderate Resolution Imaging Spectroradiometer) on March 26, 2013. Animation is made up of 17 frames made satellite “Electro-L” from 12:30 to 20:30 GMT March 26, 2013 at 1 frame per 30 minutes. Photo: Roscosmos / NTSOMZ / Electro-L / allmars.net. 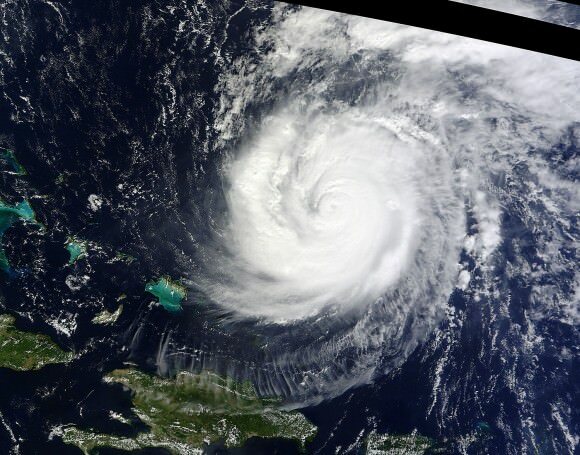 The images are taken from a different angle than the Terra satellite. You can see more at Egorov’s website. NASA says MODIS is playing a vital role in the development of validated, global, interactive Earth system models able to predict global change accurately enough to assist policy makers in making sound decisions concerning the protection of our environment. One idea about climate change suggested that higher temperatures would boost plant growth and food production. That may have been a trend for awhile, where plant growth flourished with a longer growing season, but the latest analysis of satellite data shows that rising global temperatures has reached a tipping point where instead of being beneficial, higher temperatures are causing drought, which is now decreasing plant growth on a planetary scale. This could impact food security, biofuels, and the global carbon cycle. “This is a pretty serious warning that warmer temperatures are not going to endlessly improve plant growth,” said Steven Running from the University of Montana. During the 1980s and 1990s global terrestrial plant productivity increased as much as six percent. Scientists say that happened because during that time, temperature, solar radiation and water availability — influenced by climate change — were favorable for growth. During the past ten years, the decline in global plant growth is slight – just one percent. But it may signify a trend. “These results are extraordinarily significant because they show that the global net effect of climatic warming on the productivity of terrestrial vegetation need not be positive — as was documented for the 1980’s and 1990’s,” said Diane Wickland, of NASA Headquarters and manager of NASA’s Terrestrial Ecology research program. A 2003 paper in Science led by then University of Montana scientist Ramakrishna Nemani (now at NASA Ames Research Center, Moffett Field, Calif.) showed that land plant productivity was on the rise. Running and co-author Maosheng Zhao originally set out to update Nemani’s analysis, expecing to see similar results as global average temperatures have continued to climb. Instead, they found that the impact of regional drought overwhelmed the positive influence of a longer growing season, driving down global plant productivity between 2000 and 2009. The discovery comes from an analysis of plant productivity data from the Moderate Resolution Imaging Spectroradiometer (MODIS) on NASA’s Terra satellite, combined with growing season climate variables including temperature, solar radiation and water. The plant and climate data are factored into an algorithm that describes constraints on plant growth at different geographical locations. For example, growth is generally limited in high latitudes by temperature and in deserts by water. But regional limitations can vary in their degree of impact on growth throughout the growing season. Zhao and Running’s analysis showed that since 2000, high-latitude northern hemisphere ecosystems have continued to benefit from warmer temperatures and a longer growing season. But that effect was offset by warming-associated drought that limited growth in the southern hemisphere, resulting in a net global loss of land productivity. “This past decade’s net decline in terrestrial productivity illustrates that a complex interplay between temperature, rainfall, cloudiness, and carbon dioxide, probably in combination with other factors such as nutrients and land management, will determine future patterns and trends in productivity,” Wickland said. The researchers plan on maintaining a record of the trends into the future. For one reason, plants act as a carbon dioxide “sink,” and shifting plant productivity is linked to shifting levels of the greenhouse gas in the atmosphere. Also, stresses on plant growth could challenge food production. “Even if the declining trend of the past decade does not continue, managing forests and croplands for multiple benefits to include food production, biofuel harvest, and carbon storage may become exceedingly challenging in light of the possible impacts of such decadal-scale changes,” Wickland said. The team published their findings Aug. 20 in Science.